IU faculty help teachers in Rwanda with literacy training. One of the primary tenets of Indiana University’s Books and Beyond has been access to books. Research has shown that when children are given a choice of what to read, it improves academic performance and attitudes toward reading and learning. As Books and Beyond grew, starting a decade ago in 2008, it became clear that access to a library and training teachers in English language instruction would be key to creating a model of literacy to support the students at Kabwende Primary School in Musanze, Rwanda. Enter Michael Courtney, outreach and engagement librarian with IU Libraries. Courtney joined the Books and Beyond Advisory Board in 2012, and the library project began in 2014. The dream was realized in earnest with a former classroom at Kabwende turned into a dedicated library in 2015. The library started with about 400 donated books and currently has about 1,200 books that all students and staff can take advantage of. 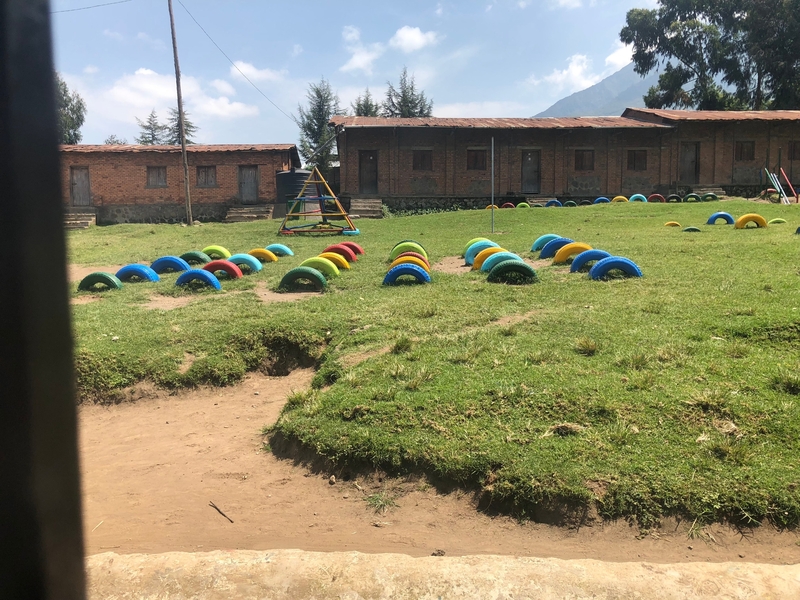 Donations are being gathered for a planned shipment later this year; books desired include early literacy reading levels, along with books in English, French and Kinyarwanda. Courtney taught a two-day workshop for 50 teachers at Kabwende that focused on the fundamentals of library and information science, classification and organization of library resources, and information literacy in the classroom. The two-day workshop was part of a certificate program combined with a three-day English language workshop. Teachers who completed all five days received a certificate of completion that codified their participation and skills building. Along with the drought of reading materials at Kabwende School in 2008, when Books and Beyond was starting its work in Rwanda, the government changed Rwanda's official language from French to English. 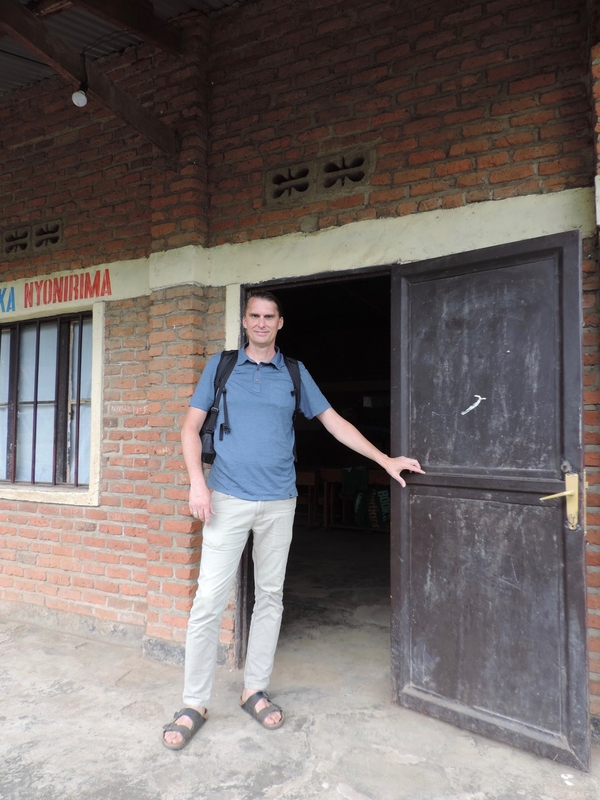 The switch was an effort to help Rwanda become part of the global economic community, but finding a sufficient number of teachers who speak English has been difficult. 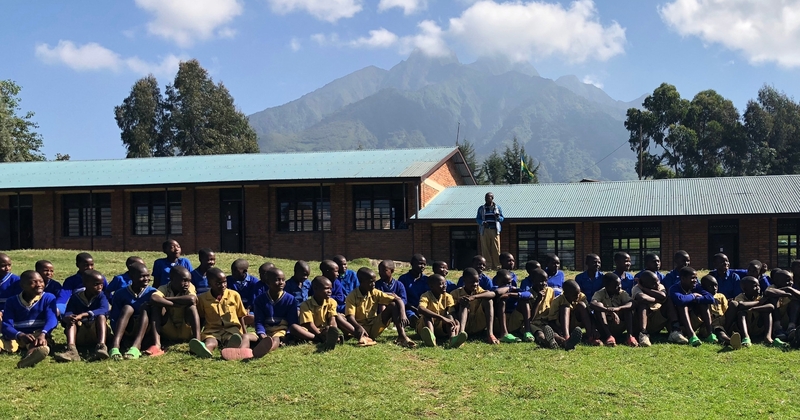 Because the local Rwandan language, Kinyarwanda, is primarily spoken, Books and Beyond implemented teacher training into its three-week student literacy camp. Courtney speaks: … is that we started to think about this project in ways that were beyond creating a book. Courtney speaks: The literacy camp is actually a perfect example of creating this physical thing we are calling a book. Courtney speaks: … and working with a group of students here, we really started to think about what if there was a library. Courtney speaks: What would it look like? How would it operate? What would be in it? Courtney speaks: And seeing that become a reality was amazing. 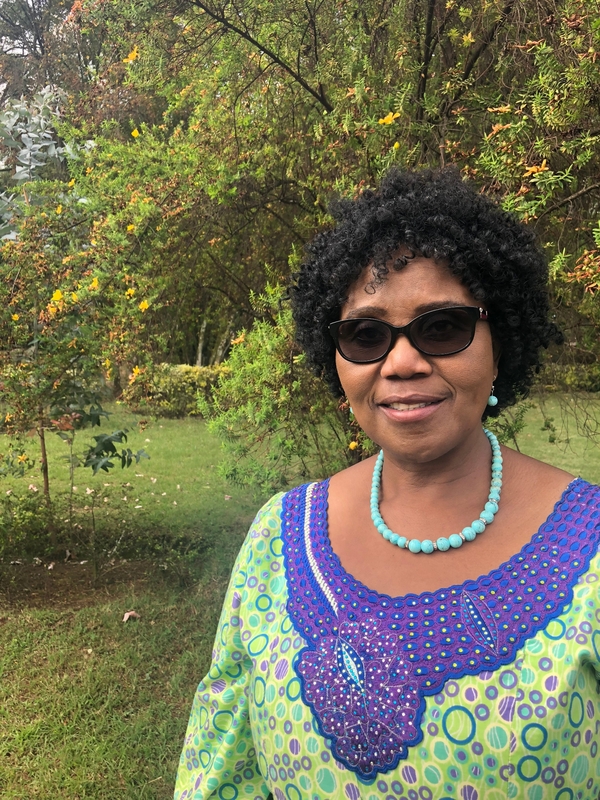 Betty Dlamini, a senior lecturer in the IU School of Global and International Studies’ Department of African Studies, traveled to Rwanda this year to take part in the intensive three-day workshop as part of the English as a Second Language teacher training. A native of the Kingdom of Eswatini, Dlamini is a singer, actress, playwright, poet, and fiction writer who teaches southern African languages (IsiZulu) and cultures at Indiana University. The experience in Rwanda was personal for Dlamini. Dlamini incorporates performance into English language instruction, which she said has been a successful strategy she uses in her own classes at IU. She taught the three-day workshop to Kabwende teachers on English language instruction. Having an interest in using performing arts to address social issues, Dlamini has always wanted to do work in Rwanda. During her time at Kabwende, she incorporated various mediums into the instruction using the communicative approach, in which the English learners get the grammar in context. But above all, she made it fun. “This is a safe space for these teachers to speak in English and make mistakes; whether it’s pronunciation or grammar, it is OK,” Dlamini said. Dlamini speaks: … and they changed the policy, and in schools they use English as a medium of instruction. So the teachers have that challenge. I'm here to help them deal with that. Dlamini speaks: When we facilitate a workshop whose participants are in this wide spectrum, you have to try and play around fitting in everybody. Dlamini speaks: So I use the communicative approach which could work for people at various levels. Dlamini speaks: So this is a safe space for them to speak in English and make mistakes. Dlamini speaks: Whether it's pronunciation or grammar, it is OK.
Dlamini speaks: But this has helped me to see the strength of doing those things from seeing them change within the three days. That safe space and help in learning English have benefited over 40 participating Kabwende teachers this year alone. Onesphore Bagirishya, who teaches English at Kabwende for P6 (similar to Grade 6 in the United States), has been a teacher for 20 years and has taught at Kabwende since 2004. Even Kabwende headmaster Clement Nkuriyingoma has participated in the English language training. When Books and Beyond started at his school in 2008, the headmaster didn’t speak English. For Courtney and Dlamini, the work is far from done; it continues through resource outreach and correspondence with the Kabwende teachers. Kabwende students and teachers they look forward to the work to come. “We will prepare the good future, the good student, the good teacher, the good leaders of our country,” Nkuriyingoma said.